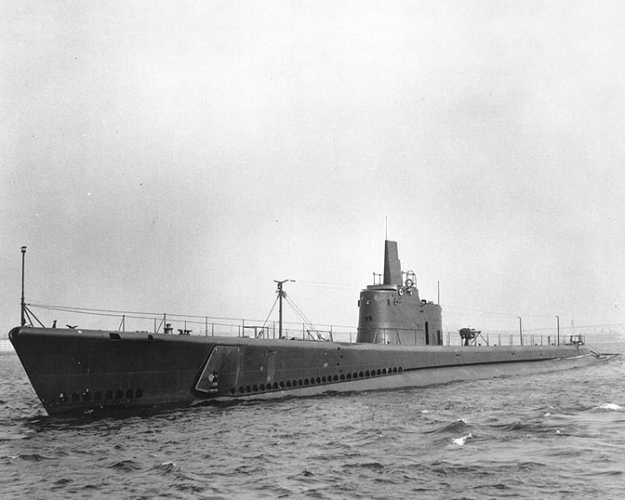 As was common with most of the submarine casualties in the Pacific, the specific details of Amberjacks loss are unknown. ... After departing Brisbane on January 26, 1943, she reported sinking a 5000 ton freighter in a two hour night surface attack. Her last message was transmitted on February 14, reporting an attack by two destroyers. Nothing further was heard from the ship and her crew of 74, and she was declared lost on 22 March 1943. ... Post-war analysis indicates that the most probable cause was a depth charge attack by IJN torpedo boat Hiyodoi and Subchaser Number 18 on February 16, following an attack on the same target by a patrol aircraft. Oil, debris and â€œparts of the hullâ€ came to the surface after the attack. ... This determination is not conclusive, however, since Grampus was lost in the same area at about the same time.